A Legionnaires’ disease outbreak in Champaign County, Illinois has sickened six people, according to the Illinois Department of Public Health. The first illnesses associated with the outbreak were reported on September 15, 2018. Health officials are investigating several potential sources of the outbreak including First Christian Church in Champaign where several of the patients may have participated in wedding activities. Legionnaires’ disease is a severe form of pneumonia. It got its name after a 1976 outbreak of severe pneumonia sickened 200 attendees of an American Legion convention in Philadelphia killing 29 of them. Legionnaires’ disease is not spread through person-to-person contact. Rather, it occurs when water droplets contaminated with Legionella bacteria are inhaled. Legionella bacteria are naturally occurring in the environment. Often they are found in pools, hot tubs, fountains and spas. They are also commonly found in the cooling towers, hot water tanks and plumbing or air-conditioning systems of large buildings. Symptoms of Legionnaires’ disease usually develop within two weeks of exposure and last about seven days. These symptoms are similar to flu symptoms and include headache, muscle aches, high fever, cough and shortness of breath. 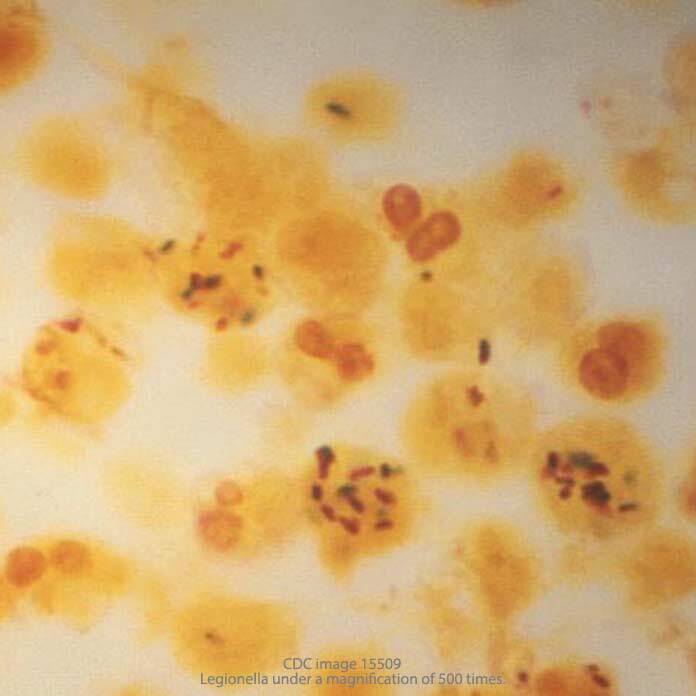 A milder form Legionnaires’ disease is called Pontiac fever. People over 50 and those with underlying health conditions or weakened immune systems are at elevated risk of contracting Legionnaires’ disease. Nationwide about 6,100 cases of Legionnaires’ disease are reported each year. In Illinois, about 300 cases are reported annually. In 2015, a Legionnaires’ disease outbreak at a veterans’ home in Quincy, IL killed 12 people. The Legionnaires’ disease lawyers at Pritzker Hageman have won millions of dollars on behalf of clients sickened and families who have lost loved ones to this severe form of pneumonia. They conduct independent investigations to determine the cause of illness. To contact them, call 1-888-377-8900 (toll free) or use our free consultation form to start your confidential consultation regarding a Legionnaires disease lawsuit.